A Brief Intro to Thorstoves and What We Do. Thor stoves has been in business since 1976. 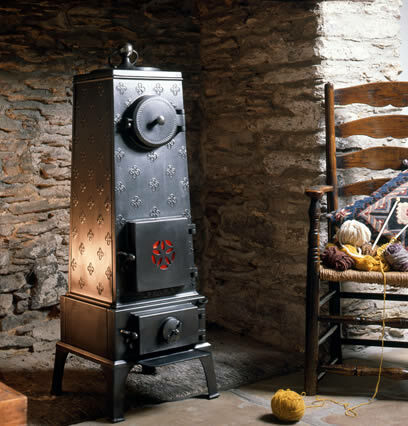 Based in Devon, South West England, the company specialise in the restoration of rare antique stoves. The search for beautiful and unusual antique stoves to restore has taken the company’s founder, John Nightingale, on exhaustive trips across Europe. Once found, the antique stoves are returned to the Thor Stoves workshops, where the stove restoration process begins. The result of which is the return to perfect condition of these beautiful and functional stoves. These antique stoves, which span the last century and a half, are a living testament to the astonishing craftsmanship that went into their construction. The stoves were made in an era before it became fashionable to make functional objects devoid of aesthetic appeal and yet the principle design objective was the same, to give the maximum amount of heat from the minimum amount of fuel, and in that they succeeded as well, and in most cases better, than any stove made today.